Situated in the North-Eastern side of the Neamt depression, almost 42 km away from Piatra Neamt, at 425 m altitude, the small town is famous because of its Moldavian settlements which date the 14th century, a time when it started to make itself known as a commercial centre. 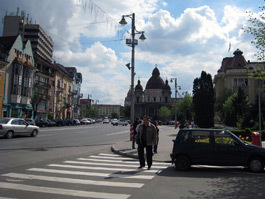 Because of its position near some well-known art and historic monuments, the town has become an important touristic centre in the last few years. 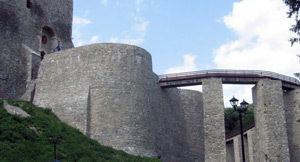 Neamt Fortress. Situated in the North-Eastern side of the Neamt depression, almost 42 km away from Piatra Neamt, at 425 m altitude, the small town is famous because of its Moldavian settlements which date the 14th century, a time when it started to make itself known as a commercial centre. 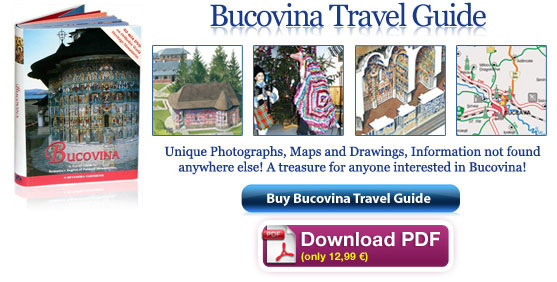 Because of its position near some well-known art and historic monuments, the town has become an important touristic centre in the last few years. 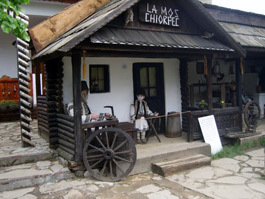 “Ion Creanga” memorial museum. 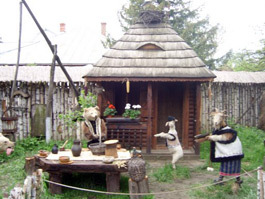 It is situated in the Humulesti residential district of Targu Neamt and it presents the great story teller’s personality through various exhibits. 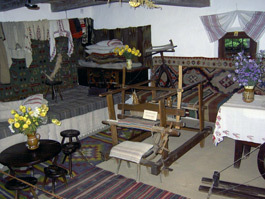 The Town Museum. Established in 1957, it holds archaeology exhibits. 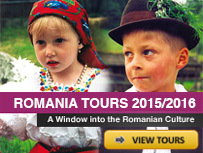 “Mihail Sadoveanu” memorial museum. 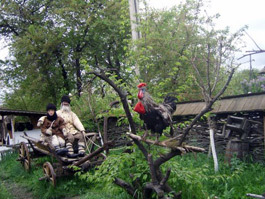 It lies in the Vanatori-Neamt commune and it is dedicated to the writer’s life and creation. 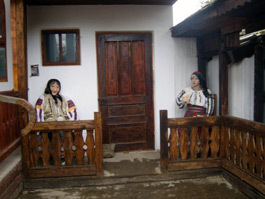 The Inn of Ancuta (Hanul Ancutei). 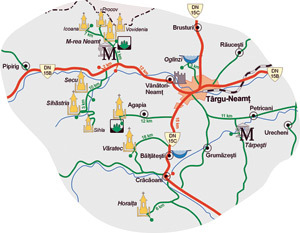 It lies in Tupilati commune, on the road from Targu Neamt to Roman, almost 28 km away from Roman. It is a pleasant halting place, which calls up the events written by Mihail Sadoveanu in his story with the same name-Ancuta Inn. 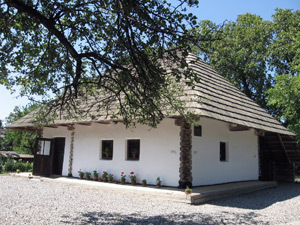 Memorial House “Ion Creanga” from Humulesti. 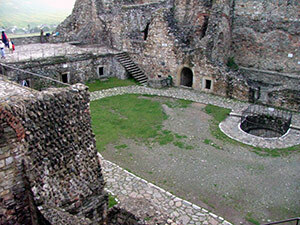 Neamt Medieval Complex.Situated in Vanatori-Neamt village, it is one of the most important centre of Moldavian culture and art and, at the same time, one of the most valuable architectonic pile of Romanian old art. In 1497, Stefan the Great built here a monument that crowns the Moldavian style during his reign, style which impresses through its imposing proportions, but through the harmony of the architectonic forms and the decoration of the facades. In a forest nearby, one may find “Dragos Voda” uruses reservation. Varatec Monastery. 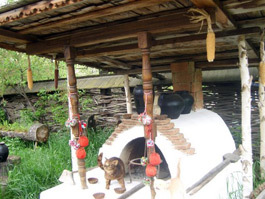 Situated in the village with the same name, it was built in 1808 and its style combines Moldavian traditional forms with neoclassical elements. In its vicinity, one may see Veronica Micle’s tomb, which belongs to the local museum, situated in the precincts of the former school. Agapia Monastery. Situated in the commune with the same name, it is a foundation belonging to the minister of war Gavril. It was built between 1644-1647 and restored in 1823. The facades were covered with a decoration of neoclassical inspiration. Inside the monastery, one may see mural paintings realized by Nicolae Grigorescu between 1858-1860. 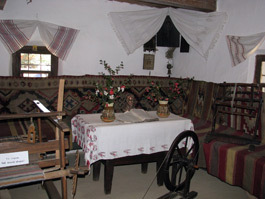 At Agapia, one may visit “Alexandru Vlahuta” memorial museum as well, organized in a simple house, where important writers, such as Caragiale, Delavrancea, Ibraileanu, Sadoveanu, Toparceanu used to be Vlahuta’s special guests. Memorial House Ion Creanga, inside.